Without high-quality freight carrier partners, our job would be much harder, and the economy would move much slower. We love recognizing our awesome carriers for a job well done because they help us help our customers ship smarter and stay competitive. 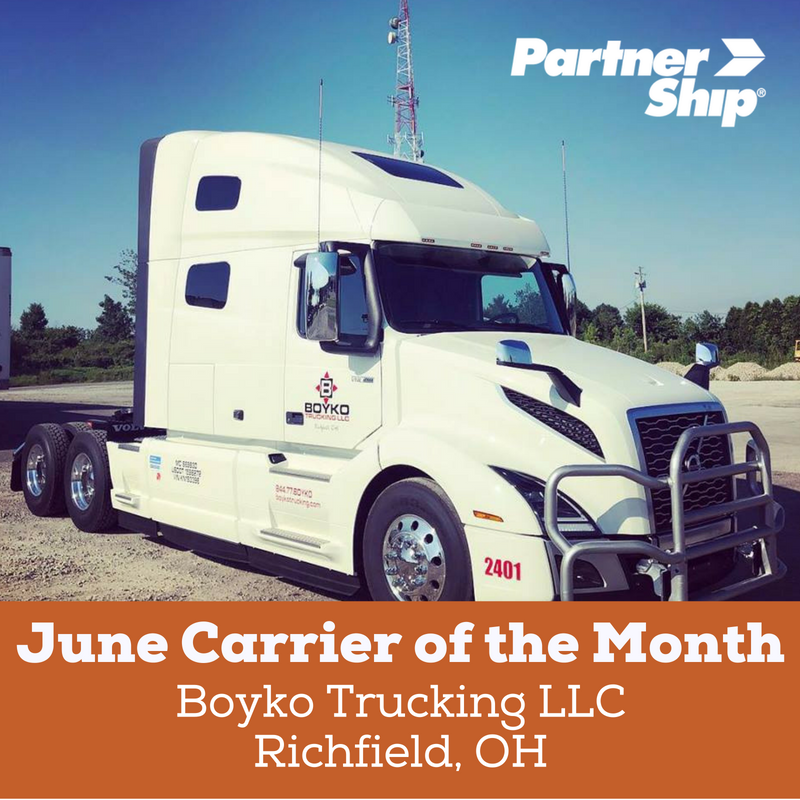 June’s Carrier of the Month is Boyko Trucking LLC of Richfield, Ohio! They have been in business since 2009 and specialize in LTL and full truckload shipping. The PartnerShip Carrier of the Month program was created to recognize carriers that go above and beyond to help our customers ship and receive their freight. PartnerShip team members nominate carriers that provide outstanding communication, reliability, and on-time performance. For being our June 2018 Carrier of the Month, Boyko Trucking gets lunch for the whole office and a nifty framed certificate to proudly hang on their wall. The gestures may be small but our appreciation is huge!